Most Civil War African-American New Jersey soldiers served in the regiments of the United States Colored Troops organized at Camp William Penn outside Philadelphia. Perhaps the most famous of these regiments was the 22nd United States Colored Infantry, a unit that broke the Confederate line at Petersburg in June, 1864, fought through the siege of Petersburg, was one of the first Union units to enter Richmond, marched in President Lincoln’s funeral parade in Washington, participated in the hunt for John Wilkes Booth and served on occupation and border guard duty in Texas before returning home for discharge in the fall of 1865. 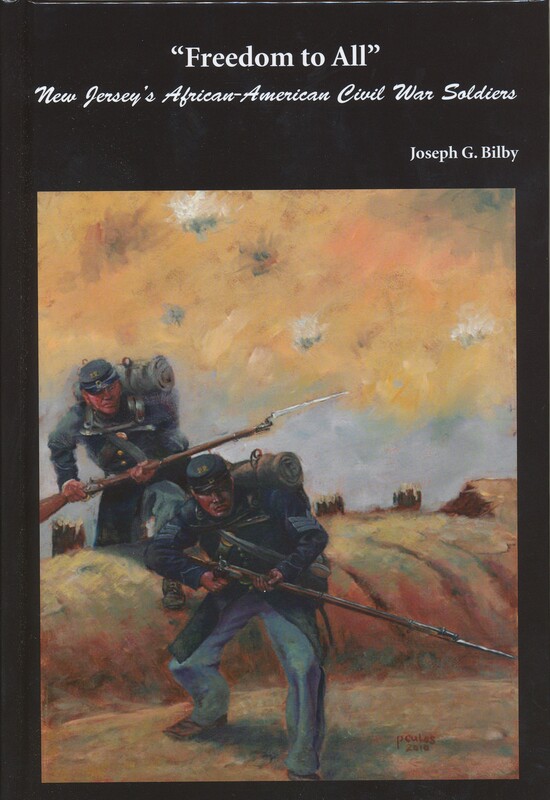 Bilby will relate the histories of the Camp William Penn regiments with large numbers of Jerseymen in their ranks, as well as the stories of individual members of those units. Joseph G. Bilby received his BA and MA degrees in history from Seton Hall University and served as a lieutenant in the First Infantry Division in Vietnam in 1966-1967. Mr. Bilby is Assistant Curator of the New Jersey National Guard and Militia Museum in Sea Girt, a member of and publications editor for the New Jersey Civil War Sesquicentennial Committee, a columnist for The Civil War News and a free lance writer, historian and historical consultant. He is the author, editor or co-author of over 400 articles and nineteen books on New Jersey, the Civil War, and firearms history, including Freedom To All, the story of New Jersey’s African American Civil War Soldiers, the award winning New Jersey Goes to War and most recently, as co-author of 350 Years of New Jersey History: From Stuyvesant to Sandy and Hidden History of New Jersey at War (The History Press, 2014). 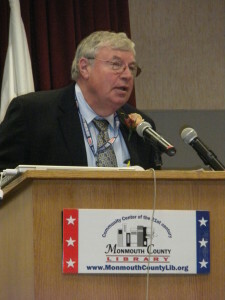 Mr. Bilby has received the Jane Clayton award for contributions to Monmouth County (NJ) history, an award of merit from the New Jersey Historical Commission for his contributions to the state’s military history and the New Jersey Meritorious Service Medal from the state’s Division of Military and Veterans Affairs. This entry was posted in Meeting archive on July 3, 2014 by hlj.